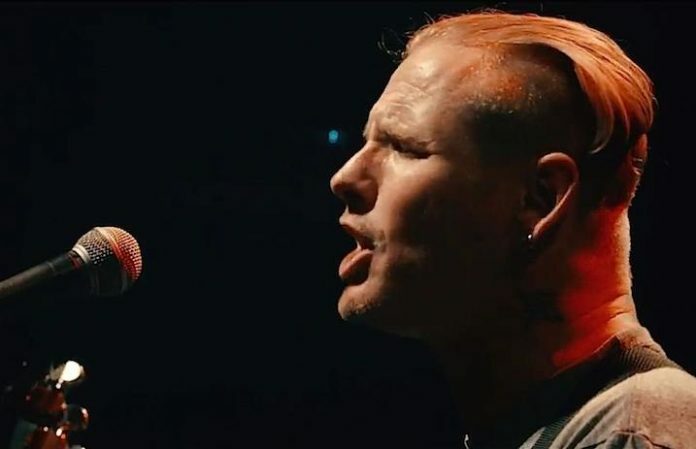 Stone Sour and Slipknot singer Corey Taylor has just dropped a complete, acoustic concert performance, Live In London, over on his website. Get a feel for the gig with Taylor doing Stone Sour's “Tired” down below! Live In London captures an intimate, sold-out show at London venue Koko, shot back in May 2016. As premiered by the NME, you can check out an additional acoustic performance of Slipknot's “Snuff” right here, and you're able to download the entire live set from Taylor's site right now. The concert features the energetic frontman performing classic tracks from both of his bands as well as covers of KISS, Buzzcocks, R.E.M., the Cure and more. Check out Live In London and catch Stone Sour on their world tour behind recent album Hydrograd—the complete list of dates are after the clip.